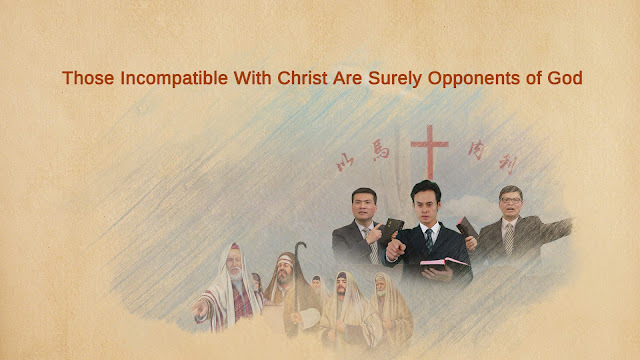 Home » Almighty God , Almighty God's word , God , God's will » Almighty God's Word "Those Incompatible With Christ Are Surely Opponents of God"
Almighty God's Word "Those Incompatible With Christ Are Surely Opponents of God"
Almighty God says, "You always wish to see Christ, but I exhort you not to exalt yourselves so; everyone may see Christ, but I say none are fit to see Christ. Because the nature of man is filled with evil, arrogance, and rebellion, when you see Christ, your nature will ruin you and condemn you to death. Your association with a brother (or a sister) may not show much about you, but it is not so simple when you associate with Christ. At any time, your conceptions may take root, your arrogance bud, and your rebellion bear figs. How can you with such humanity be fit to associate with Christ? Are you truly able to treat Him as God every moment of every day? Will you truly have the reality of obedience to God? You worship the lofty God within your hearts as Jehovah but regard the visible Christ as a man. Your sense is too inferior and your humanity too lowly! You are unable to forever regard Christ as God; rather, you simply pull Him over and worship Him as God when it strikes your fancy. This is why I say you are not believers of God, but accomplices to those who fight against Christ. Even men who show kindness to others are repaid, yet Christ, who does such work among you, is not loved or repaid by man, nor does He receive man’s obedience. Is this not a most saddening thing?"